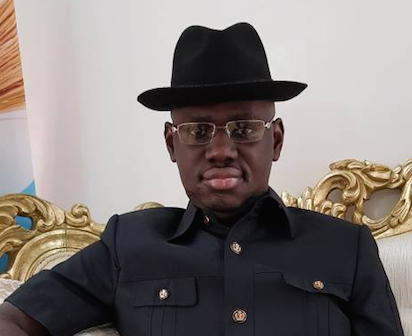 Former Deputy National Publicity Secretary of the All Progressives Congress (APC), Comrade Timi Frank, has given the General Abdulsalami Abubakar-led National Peace Committee, a 72-hour ultimatum to call President Muhammadu Buhari to order over gross violation of the recently signed peace accord by presidential candidates towards the forthcoming 2019 general elections. He said failure to make Buhari to respect the peace accord within the stipulated period would force the opposition political parties to pull out of the peace accord and subsequently direct their supporters to massively resist the ongoing aggression against them. Frank in a statement on Thursday in Abuja, said the call has become imperative due to the ongoing campaign of terror against leaders of opposition political parties aimed at actualizing a wicked conspiracy already hatched between the agents of the Buhari administration, security forces and the Independent National Electoral Commission (INEC) to brazenly rig the 2019 general elections. He stated that the ongoing crackdown against top members of the main opposition political party the Peoples Democratic Party grossly negates the spirit and letters of the accord as there can be no peace without justice, equity and fairness. He described the ongoing use of the police and anti-graft agencies to hound prominent members of the PDP as an act of aggression that cannot be further tolerated as the elections draw near. He stated that the intimidation and hounding of key opposition figures across the country and the attempts to deny opposition parties access to legitimate finances by anti-graft and security agencies show that the APC and Buhari have begun to violate the tenets of the peace accord few weeks after it was signed. He insisted that it is now clear that the President and his party are out to rig the 2019 polls, or in the alternative, refuse to respect the will of Nigerians which is to hand over the reins of power to the eventual winner of the poll, should he be defeated as he is sure to be. He said that top presidential aides are currently boasting that they already have results of elections that has not been conducted in their kitty with which they will declare the President and all APCs candidates vying for various offices across the country winners irrespective of the actual results of the next polls. He lamented that the Nigeria Police is leading Buharis onslaught against the opposition ahead of the polls while the entire security apparatus of the country has shamefully bought into the plot to upturn the will of the people and rob the opposition candidates of victory. He further added that the illegal extension of the tenure of the current Service Chiefs and the planed elongation of the tenure of the Inspector General of Police, Ibrahim Idris, speaks volume about the intention of the present administration to use the nations security forces to rig the February elections and illegally perpetuate itself in power. He said that the siege on Senator Dino Melayes house by the police, the unlawful detention of activist, Deji Adeyanju, and the harassment and intimidation of businessmen believed to be sympathetic to the cause of the opposition is a clear violation of the peace accord at this pre-election stage. He added that failure by the Committee to heed his call and ensure that Buhari and his agents conduct their electioneering campaigns in line with international best practices would lead to massive resistance by the people. According to the political activist, the good conduct expected of Buhari and the security forces include respect for the fundamental human rights of Nigerians and leaders of political parties; adherence to the rule of law, respect for judicial pronouncements and stoppage of illegal arrests and detention of perceived political enemies before, during and after the elections. He warned that the planned massive crackdown on opposition leaders including the arrest and detention of the Director General of the PDPs Presidential Campaign Council and Senate President, Dr. Abubakar Bukola Saraki, and other top stalwarts of the party on frivolous allegations just like they have done in Adeyanjus case and are about to do in Melayes case will spell doom for the country in terms of mass resistance that will automatically erupt if the undemocratic plot against the opposition is not immediately halted. He noted that the prolonged and unlawful incarceration of a former National Security Adviser, Col. Sambo Dasuki and the leader of the Islamic Movement of Nigeria, Ibrahim El-Zakzaky, the gruesome killing of thousands of the latters followers, the assassination of a former Chief of Air Staff, Air Chief Marshal Alex Badeh, and the murder of a former Chief of Administration of the Nigerian Army, Maj.-Gen. Idris Alkali, show that the present administration will go to any length to subjugate the people in order to hang on to power illegitimately. He noted that a recent international report had revealed that the two men were killed to hide what it described as the pattern of corruption in the current military leadership in the country. at sustaining and growing democracy in the country. He noted that failure by the Abdulsalamis peace committee and members of the international community to prevail on Buhari to allow for a free, fair and credible elections in the country will lead to a catastrophic upheaval never witnessed in any of the African continent. He described the much trumpeted integrity of Buhari as phony because events have since shown him to have encouraged, condoned and perpetuated corrupt activities while deceiving gullible Nigerians that he is an anti-corruption czar. He wondered how a President that has corrupted the nations governance system and security forces preparatory to use them to rig the forthcoming elections continue to lay claim to integrity. How can a President that has sanctioned the diversion of state funds to finance his election say he has integrity? How can a President that is using state-funded security forces to intimidate, harass, detain and incarcerate members of the opposition say he has integrity? How can a President who continuously disdains and disregards lawful judicial pronouncements lay claims to integrity? How can a President who has ordered his men to monitor banks and block the source of funds for opposition political parties say he has integrity? Let the Presidency be warned. Nigerians are ready to take their destiny in their hands should the government not conduct itself properly to free the country from his clueless and inept administration. Any attempt to rig, truncate, or declare the next presidential election inconclusive like the case of Osun State or refuse to relinquish power after defeat would be tantamount to reversing the massive democratic gains the country has recorded since 1999. However, Nigerians are well prepared to resist any such draconian actions with the last drop of their blood, he said.